Seduction: 'the key' to understanding France? Breaking news: we may be seeing a breather in terms of bad press for France in the English-speaking world. This would be no mean feat after the wall-to-wall coverage of the Dominique Strauss-Kahn scandal (which we timidly refer to in the France 24 ticker as the “Strauss-Kahn case”). And just as I write this, France is being rocked by another affaire, concerning a former junior minister who is a well-known practitioner of reflexology. Georges Tron recently resigned over allegations he gave a lot more than just foot massages to two of his former municipal subordinates. 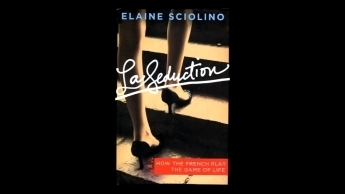 This month, then, saw the publication of American journalist Elaine Sciolino’s new book, “La Seduction: How the French Play the Game of Life”. 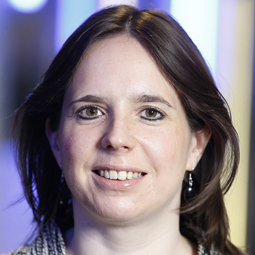 Sciolino, the Paris correspondent for The New York Times and its former Paris bureau chief, is a self-confessed Francophile who has lived in the French capital since 2002 and is married to an American. The book went to press before the Strauss-Kahn scandal broke, although it does talk about the former IMF boss’s reputation as a womaniser. But Sciolino’s book doesn’t just talk about seduction in the narrow sense the word has in English. Its premise is that “la séduction” is a way of life, which permeates the whole pleasurable experience of living in France, right down to the wine and cheese. In the interview below with France 24, broadcast on June 18th, Sciolino explains that seduction in France is as much about “the four-hour meal that you have on a Sunday afternoon” as it is about getting people into bed. However, it has to be properly understood, not only so as to get by in France but also in order to get what one wants. (You can see where this could go wrong). I certainly understand where Sciolino is coming from about the importance of seduction. I also moved to France in 2002 and remember my job interviews in Paris that year. One of the very first was with a formidable English woman who ran her own bilingual recruitment agency. She was pleased that I had shown up wearing a skirt. (Conversely, as I found out later, other girls who had worn trousers to meet her were loudly berated for doing so). This “wear a skirt” advice is not as obvious as it may seem. Women in French offices dress pretty casually on the whole. Skirts are more the exception than the rule. (As for bank employees, they dress so casually that you wonder at first if they work there at all). Although the English woman may simply have wanted me to look smart, I rather think she had in mind what Sciolino has understood: that seduction is important in France. And that includes what you wear to a job interview as a woman, as horribly un-feminist as that sounds. (This in turn partly explains why so few women wear skirts to work in France - it, well, attracts attention. Even the sports minister, admittedly surrounded by virile French politicians, no longer feels comfortable in a skirt). And that’s the catch: all this seduction business obviously cuts both ways. To give a very mild example: in the above interview, Sciolino describes being greeted by then-French president Jacques Chirac with a baise-main (kiss of the hand). Taken by surprise, she admits she was “unnerved”. “It wasn’t aggressive, it wasn’t sexual, but it made clear that he was the man and I was the woman”. Ah yes: those clearly differentiated roles between the sexes, which keep everyone in their place. A classic feminist gripe, you could say. But that’s for another blog post. La Seduction: How the French Play the Game of Life. New York: Times Books, 2011. "Those clearly differentiated roles between the sexes, which keep everyone in their place...." Indeed! It's quite medieval... On with the next blog post! In America, there's a problem that I've been witnessing over the past 5-10 years and that is that women in America are becoming too feminist in respects to relationships with men. Many women in America now see a man opening the door for a woman or sliding a chair back so that she can be seated as being controlling and abusive, when in reality its being chivalrous and respectful. I've also seen men being slapped by women for giving them a small hug when greet them. The man wasn't trying to be aggressive or get you into bed, he was being nice, friendly, and considerate towards you. I'm often considered as not being in step with the women of today because I still believe that its nice to have someone open the door for you, push out your chair for you, take your coat for you, and give you a hug upon being greeted. There's nothing wrong with a man being chivalrous in any manner or fashion, its shows that a man is being respectful and polite towards a woman. Does Mrs Sciolino knows French people? I 'm don't sure that Mrs Sciolino meeting really many french other french politics and french journalists. I'm not sure that Mrs Sciolino meet many french people. Her book speaking more on french politics and french journalists than french people. .
it's a very muddled review. what is la seduction about? sorry I am none the wiser. Mmm. The world needs more "joi de vivre" and less misery. The French do it the best. I should know, I'm married to a Frenchman.